Right now you most likely have an orange bucket or pillowcase filled with candy lying somewhere in your house. Maybe you’ve already pawned some off to your coworkers realizing that Thanksgiving is right around the corner, followed by endless holiday parties. Tis’ the season to eat, drink and be merry, but you will probably come to your senses and weave some healthy meals into the many weeks of indulgence. If you’re in Mesa for the holidays, we have some options that won’t make you loosen your belt buckle. “Eat Better” is more than just a tagline for MAD Greens, it’s a way of life. 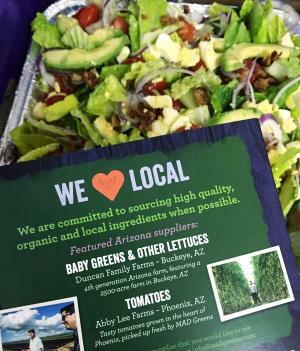 They source all-natural and organic ingredients whenever possible, are committed to working with local farmers and vendors, and they publish the nutritional information for their entire menu. Best yet, they provide it to you quickly – it’s the fast food your body will thrive on. Choose from their menu of salads, wraps, paninis, juices, and soups, or create your own meal. Ask for the Edgar Allan Poe, a personal fave. 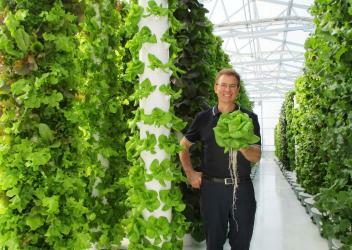 Go beyond organic with produce from True Garden. This 5,000-square-foot vertical urban garden may look like a scene from the future, but they are growing nutritious and healthy food with absolutely no soil. They have a farm stand every Tuesday and Saturday with fresh produce for sale at their Mesa location, and they participate in farmers markets across the Valley. You can whip up a beautiful salad loaded with fresh flavors. Did you know that extra virgin olive oil is full of healthy fats called monounsaturated fatty acids? It has also been said to have many health benefits. Whether you want a healthy substitution for butter in any of your recipes or you want the best option for frying up some food, consider the switch to EVOO (extra virgin olive oil). 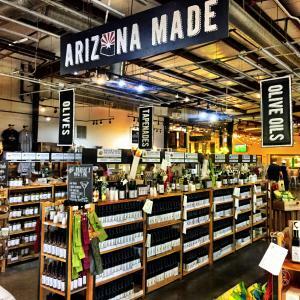 Buy some olive oil for yourself, or to gift this holiday season, at Queen Creek Olive Mill and you can see with your eyes exactly where your end product comes from. You’ll want to try their Chocolate Olive Oil in dessert recipes, Bacon Olive Oil when frying eggs for breakfast, and the Roasted Garlic Olive Oil is good with just about anything!